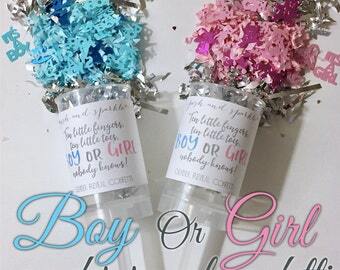 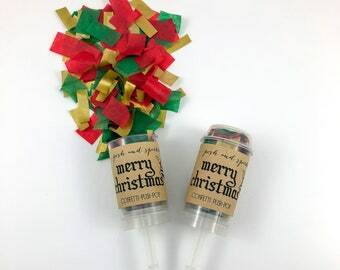 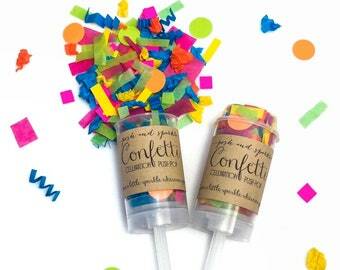 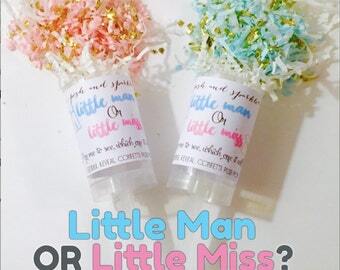 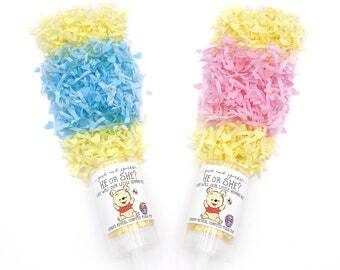 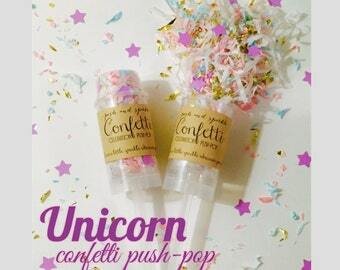 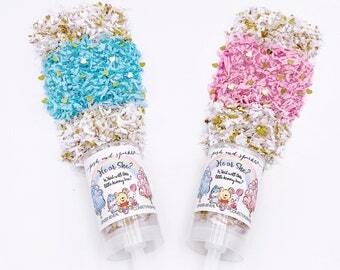 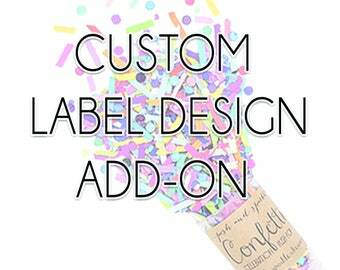 If you’re having an elephant theme gender reveal party, then our “He or She What Will Our Little Peanut Be?” Confetti Push Pops are ideal for the occasion! 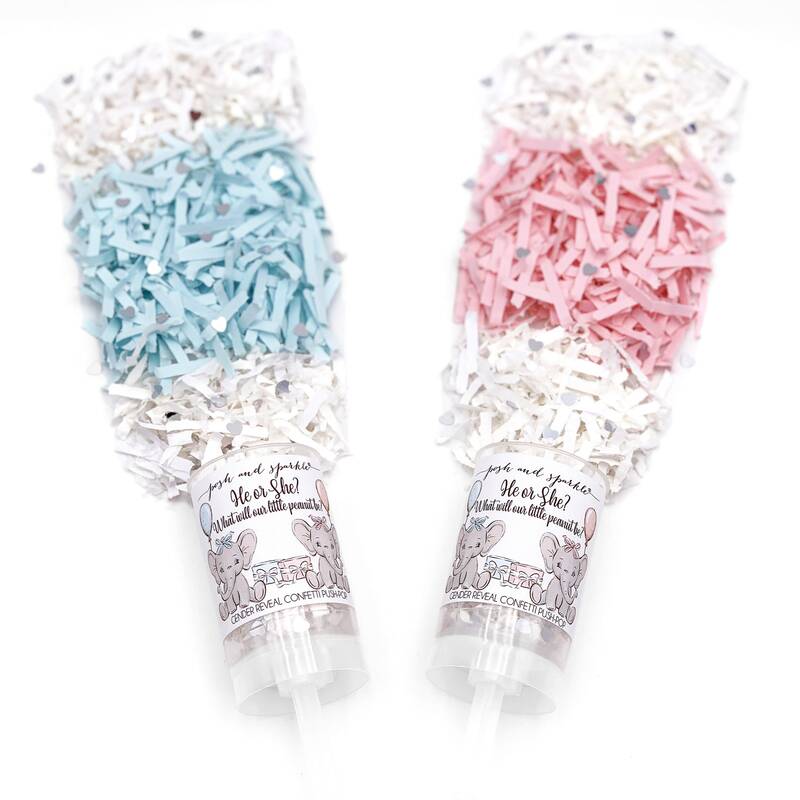 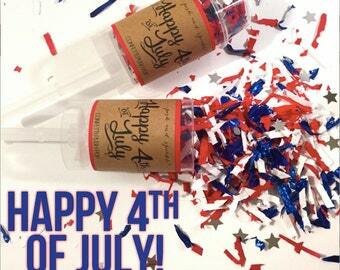 Hand one out to your guests, take off the lid, count down from 5, push the stick up with the palm of your hand and yell “Our little peanut is a.…” for a harmless explosion of either blue or pink confetti! 🎉Each end is filled with white paper confetti shred with metallic silver hearts and hidden inside is either: FOR A GIRL: light pink paper confetti shred and silver metallic foil hearts; FOR A BOY: light blue paper confetti shred and silver metallic foil hearts.